The draft bills detailing reforms recommended by the Supreme Court in the aftermath of the 2016 general elections are ready for submission to Cabinet. This is according to Justice and Constitutional Affairs Minister Gen Kahinda Otafiire. The amendments relate to the 10 recommendations that arose out of a petition filed by former Prime Minister Amama Mbabazi, challenging the outcome of the 2016 general election. They are intended at creating reforms that will guarantee free and fair presidential elections in 2021 and beyond. The recommendations included extending the filing and determination period of presidential election petitions to 60 days to enable the concerned parties and court to adequately prepare and present their case, enacting a law to bar the involvement of public servants from meddling in elections and punishment of media houses, which refuse to grant equal airtime to all presidential candidates among others. But Otafiire says that some of the recommended reforms were addressed in 2017 when Parliament enacted the Constitutional Amendment Act, 2017. The Act amended the Constitution to provide for the time within which to hold presidential, parliamentary and local government council elections, provide for the term of Parliament, and provide for eligibility requirements for a person to be elected as President or District Chairperson and others. The amendment also saw the increase of the number of days within which to file and determine a presidential election petition and the number of days within which the Electoral Commission is required to hold a fresh election where a presidential election is annulled. Otafiire says that with these amendments already made, only consequential amendments are required to different Acts to ensure conformity with the amended provisions. This includes The Presidential Elections Act, The Local Governments Act, The Electoral Commissions Act, The Parliamentary Elections Act and the National Youth Council Act. He adds that further amendment of electoral laws according to the Supreme Court recommendations are required regarding nature of evidence, use of technology, unequal use of State owned media, donations during the election period, the involvement of public officers in political campaigns and the role of the Attorney General in election petitions. “The implementation of the above recommendations requires both legal and administrative action. The required draft Bills to implement the above reforms have since been prepared for submission to Cabinet,” reads Otafiire’s statement to parliament. 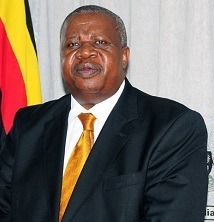 He, however, says that while the government could proceed to introduce the electoral reform bills, it has become evident that in order to severally address matters relating to elections in Uganda, it is necessary to handle the matter in a chronological manner, beginning with the review and amendment of the Constitution of Uganda 1995.